We all know that starting off a restaurant can be a bit daunting. The process of selection and buying and transporting can all be very stressful. You may have the perfect plan when it comes to buying the goods but have an issue with transportation. You should at least seek a company that will provide you with all the good benefits that you need to get ahead in the business. Restaurant design services are offered by some of the biggest companies around. You can get the best there is when it comes to interior design and selection of equipment. What then you may wonder makes us so different from the rest of the companies. When we think of restaurant design services we do not want to just point you in a certain direction. We want to give you all the things you need which includes advice and equipment. When you need to get your design plan in order then you can look to us to help you choose out the best equipment. We will also guide you on the available options when it comes to interior design. We have a range of furniture that you can buy to start off. Our staff aims to bring the vision that you have to life. From seats to tables we got it all. You can choose the theme of your restaurant and have one of our people help you pick out the right furniture. More to that, we will help you plan it out in your physical space. 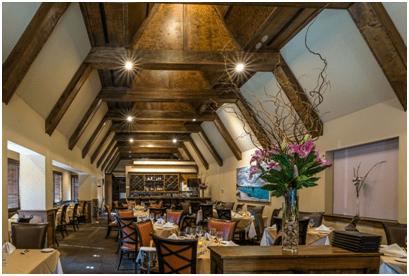 A lot of factors go into consideration when choosing restaurant furniture. You can have all the best furniture and no flow in your restaurant for the waiters or customers to move around. To avoid bumping heads and spilling soups we will give you the right outline of just how furniture is organized. Quality furniture is by far the one thing that can set you apart from your competitors. You want all your clients to have their meals on comfortable chairs and sturdy tables. Some designs may look very good to the eye but do not offer much when it comes to comfort. We want your customers to feel relaxed and welcomed when they enjoy the meals you have created. Choosing particular equipment can be a bit tricky if you do not have experience. Even those who do need help getting the equipment most suitable for their jobs. We aim to give you the right advice. We supply equipment right to the door steps of our customers. Proper shipping is carried out to avoid receiving damaged goods when you have paid your hard earned coin for it. Overall the choices made will come down to you. We can give all the advice in the world but we prefer our clients to make the decision themselves. You can choose the kind of restaurant you want and we will give you the available options based on your needs. Getting restaurant design services has never been easier.